Group funding has become a viable alternative to pitching investors, and has become a favorite crowdsourcing concept of several technology enthusiasts. Recent projects like the MetaWatch Strata and OUYA gaming console have generated massive interest and attracted several times their initial target in startup funding. If you have a fundraiser, project or business venture you are looking to get some backing on, there is no shortage of sites to post your project online these days. This is just one more way that the Internet is bringing us all together. But how do you know which site is right for your needs or how to make the best of it? You will need to examine your needs and constraints. Do some background research on available funding approaches, and familiarize yourself with the compromises and promises you’re making by accepting funding from a group. Kickstarter is one of the most well known sites for funding creative projects today. Their philosophy says that a good idea, communicated well, can spread wide and fast. They believe that a large group of people can offer a great source of money and encouragement. This makes sense, of course, since the more people you can get on board, the easier it is to convince others to join in as well. However, Kickstarter has one unique feature: it’s all or nothing approach. If you place a fundraiser here, you must set a goal. Then you must meet 100% of that goal or no one will be charged. Projects have to become fully-funded or no money will be charged in the event. This feature is meant to gauge initial interest in a project, and to make sure that donated funds are far more likely to be used in a successful project. Small business proposals traditionally fail through Kickstarter. Innovative products, multimedia projects, and charitable causes have a better chance of fully funding. Kickstarter is designed for specific types of events. Basically, it is meant for creative projects such as those from artists, filmmakers, musicians, designers, writers, explorers, curators, illustrators, game designers and more. Kickstarter is not a place for donations, charity projects, or for general business projects. There are many great projects out there but this is not the place for many of them. Don’t worry though, because there are other sites for that. Another good option is Indiegogo, again, depending on what type of project you have going on. Indiegogo is considered the world’s largest global funding platform. They are founded on the ideas of opportunity, transparency and action. Basically, they believe that everyone should have the opportunity to raise money and with this site, now everyone does. People from all over the world can come together to raise millions of dollars for all different types of campaigns. Unlike Kickstarter, campaigns run on Indiegogo allow you to keep any funds donated. Campaigns are very simple at Indiegogo and there are fewer rules about what type of campaign you can run. All you need to do is tell the people what you are doing and how they can help. You should also tell them what unique perks or benefits they will get for helping out as contributors. Once your campaign is set up, just market it and wait for people to jump on to help you raise money. You keep 100% ownership of the campaign and you don’t have to pay anything to the site until you raise some money. Another option is Rocket Hub. RocketHub is an online crowdfunding platform. The site was founded by Brian Meece, Jed Cohen, and Vladimir Vukicevic and it’s designed for social media based fundraising, specifically for creative types. It’s focus is on group funding and they have partnered with many well known organizations to help increase public knowledge of crowdfunding. 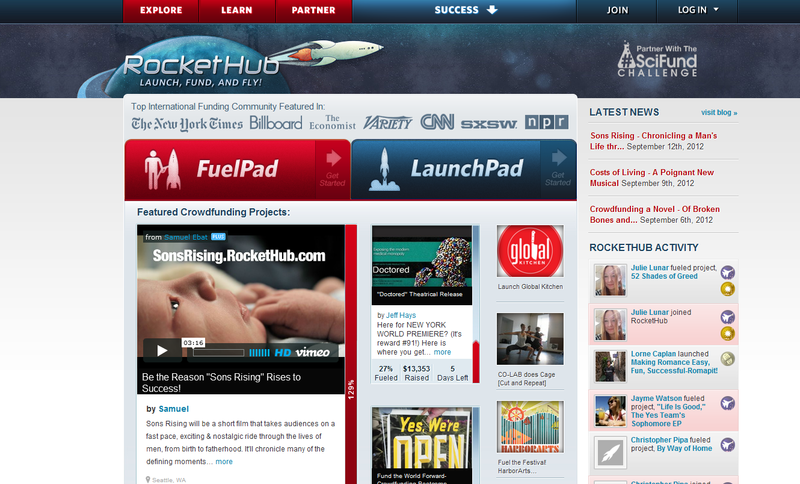 Rockethub promotes the idea of crowdfunding to the masses. Givezooks! 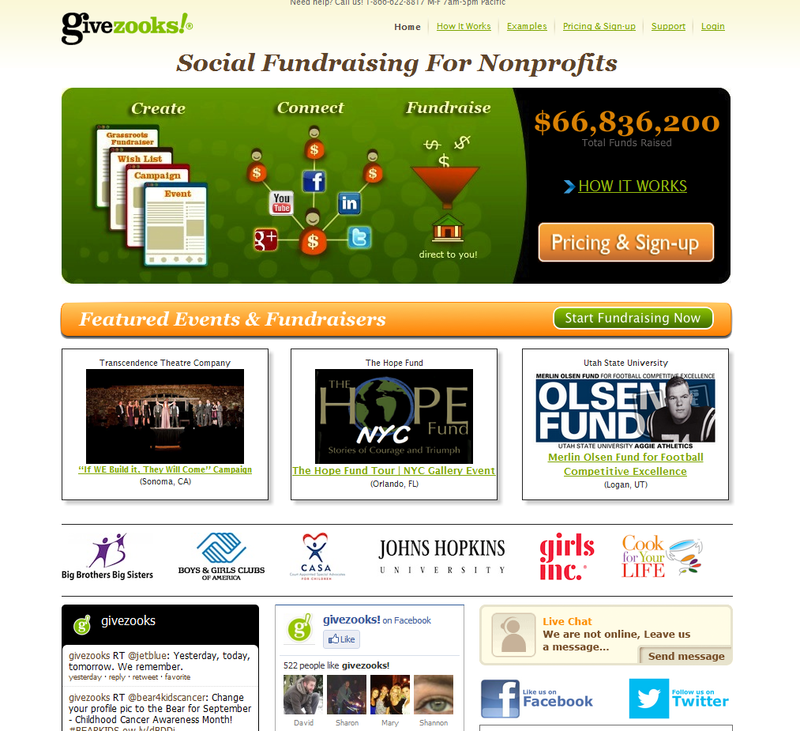 is geared toward non-profits and provides them with tools to manage fundraising efforts. Fundraisers on givezooks! can be promoted using e-mail, widgets and through social media channels. It has a grassroots tool for non-profit fundraising and individual fundraising campaigns that allow you to tap into your existing social media networks for support. Givezooks! is a crowdfunding platform developed specifically for non-profits and charities. The givezooks! 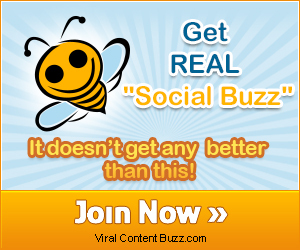 Social Fundraising platform starts at $129 per month. Their Events product is priced separately based on a transaction fee starting at 2%. 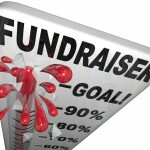 All you need to do is pick a plan and create your custom fundraiser campaign. When it comes to charity fundraisers, JustGive has been around a very long time. It was founded 11 years ago as a way to help people find charities that they would want to support. Now it has a database that narrows a list of over 1.5 million charities into 1,000 organizations that meet their very tight guidelines and categories. They are then narrowed into 19 categories and if you wish to donate, you can browse these categories to help you select the right one for your investment. 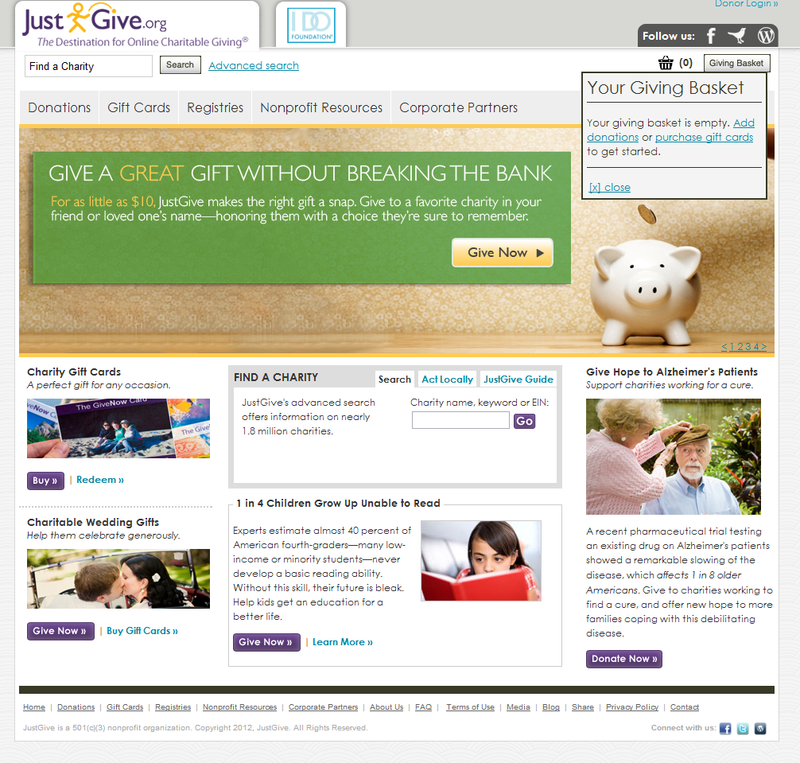 Just Give was developed over a decade ago to help non-profits create an online presence, and has developed into a mandatory stop for any non-profit or charity looking for funding. As a non-profit, you can register your listing on JustGive and get a donation page as well as an easy to use “Donate Now” button to place on your website. You can then promote the fundraiser through your site or blog and there are no setup costs but eligible non-profits do have to pay a 3% fee per donation received on the site. Another one of the most well-known fundraiser sites is Causes, which is fully integrated into Facebook. It works through an app on Facebook which makes it really easy to invite other people to join your cause. You can invite people to causes for specific issues or non-profit organizations. It’s quick and easy to invite all of your friends and contacts to the cause. In order to accept donations through Causes, a non-profit must have a 501(c)3 and pay the processing fees. This platform is not a good option for the creative individual or the business person looking for help with a new venture or idea. It is a great platform for non-profits with a defined goal. If you are looking for a great tool for personal fundraising, Crowdrise just might be it. It fact, it’s great for non-profits, event fundraising, special occasion fundraising, team projects and more. This is another crowdfunding tool but there are certain features of it that are better than other similar sites. There are benefits to the donors as well. For example, you can earn 10 points for every dollar raised or donated and double points when you give to a featured charity. When you are a top point winner, you can get prizes like clothing, gift cards and electronics. So you get back when you give and the more you give, the more chance you have to get back. Even though personal projects are welcome, charitable causes still generate more interest on Crowdrise. As for non-profits, basic accounts are free, and there is a $299/year cost for a Featured Account. The site takes 5% on donations that are made through the site. If you want to participate in a volunteer network with more than 200,000 virtual, local and global volunteer opportunities then Donate Now/ Network for Good might be for you. The site offers a secure donation system that gives you the option to donate directly through Network for Good to a site that uses DonateNow behind the scenes. You can set up monthly giving, buy a charity card and more. As a charity, you have several options ifor payment plans to fit your needs. The Network for Good is one of the more established charitable donation sites. It’s well known and trusted, but there is also a ton of competition. No matter which site you choose to help with your online group fundraising, it’s going to be very important to have a specific goal and a viable plan to reach it. Know what you need and why it is important for others to donate to help you. If your cause is worthy and you can put together the perfect multimedia pitch, there is a good chance you will generate a lot of interest, and possibly secure substantial funding. This is great info. Shared around my network as I’m sure I wasn’t the only one who was unaware of the variety of options available. 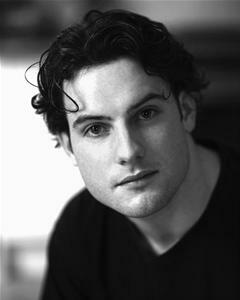 There’s a couple of new ones there I was unaware of – thanks for those. This seems to be an idea that’s growing in popularity. When I see the amount of money raised in a very short period of some ideas (and some of them seem to be really whacked, to me), it’s really surprising. Yes, and lately I’ve even saw some popular entities leverage their likeability to raise funds for ideas that would normally fall to investors, or even family needs. Popular websites getting funds from their fans for a re-design even! It is a really interesting model to leverage SM to fund project…particularly projects for doing something good. I will check out the ones that I had not heard about before. You forgot Razoo (client) of mine. We just topped $100m in funds raised. I like their new logo to commemorate. Raz00,000,000! At http://www.emphas.is we use a similar model to fund photo journalism. We help keep diversity in storytelling. I’m actually wanting to make some Documentaries. These sites will come in handy when I need to raise the funds for it. I’m considering either Indiegogo or Crowdrise. Not sure yet. Kickstarter is great, but it looks like Indiegogo might be a better option perhaps. Any thoughts good or not? No registration required to submit a project.